Its durable nature and reasonable pricing has pushed laminate flooring to the top of the list of residential flooring options in Lakeland, FL. 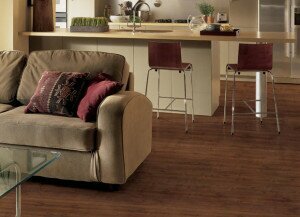 Laminate flooring is durable, so when you choose it for your home, you can rest assured knowing that it will last. Its durable nature and reasonable pricing has pushed laminate flooring to the top of the list of residential flooring options. It is made up of multiple layers, and the melamine composite on the top and bottom layers help to keep it strong. Laminate flooring won’t fade in direct sunlight, and some of the top manufacturers offer 15-30 year warranties on their products. Laminate flooring typically sits atop any hard surface, including wood, linoleum, or concrete. You may hear it referred to as a “floating floor” because each piece is installed separately. 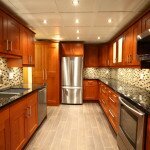 Wood and other natural materials come with defects, while laminate flooring looks smooth and perfect. You can choose a laminate flooring option that replicates the look of hardwood, which will feature knots and grains. These are simply for design, and are not actual flaws in the pieces. The materials used to create laminate flooring do not have any wood grain or knots. At Jim’s Floor Depot, located in Lakeland, Florida, we can help you choose laminate flooring that fits with the style of your home. We also provide immediate installation of the options in stock, or we can order and schedule installation for a later date. Not only can you have floors that look like real wood, but you can also choose options that look like stone or ceramic tiles at a fraction of the cost. This type of flooring is easy to clean and maintain, so it’s a great choice if you have kids and/or pets.